Changemakers LA is a tribute to the people and policies that make LA neighborhoods good places to live, work, and play. They take a look at how LA tackles the pressing issues of affordable housing, economic development, transportation, and safety in a time of growing prosperity and growing inequity in LA. Listen on Soundcloud here. KNOW YOUR CITY by Leadership for Urban Renewal Network (LURN) was just launched this week! This podcast series will highlight some of LA's amazing leaders in policy, advocacy, and community development, who are uplifting underserved communities. Subscribe here. There Goes the Neigborhood: Los Angeles is an eight-part podcast examining the winners and losers of neighborhood gentrification, and the forces driving it in LA. Listen now on the KCRW site. LA Forwards & Backwards opens up conversation on issues being debated in today's Los Angeles. Hosted by David Levitus, founder of LA Forward, this podcast features interviews with local social and environmental justice leaders. Find episodes here. Value Added interviews people who are adding value to the world. The awesome Angelenos they've interviewed so far include Sam Polk, Jessica Jackley, Chris Rico, Elliot Kotek, and The Dinner Party. Take a listen on iTunes. The Zag features stories from New Leaders Council (NLC) alumni and their work in LA. NLC LA provides emerging professionals with training, mentorship, and resources, and has created a network of cross-sector, progressive leaders in Los Angeles. Listen to their podcast here. Wow! What a great six months we have had launching the Man2Man Project! The first group of Mentors are now actively engaged with their mentees. The Young Dads received training about male responsibility in pregnancy prevention and practical ways to deal with real-life situations. These trainings will be incorporated into the Young Dads Impact Team presentations at local schools in the San Fernando Valley, North Hills, and Pacoima! The Young Dads Impact Team, a name they chose for themselves, has been busy honing their presentation skills so they are prepared to visit local middle and high schools this fall to talk about what it's REALLY like to be a Young Dad and how important it is for teenage guys to take responsibility for preventing pregnancy. The major challenge we have faced with the M2M Project has been recruitment of volunteer mentors. The Bureau of Labor Statistics reports that volunteerism has decreased over the past five years and, compared to women, men are less likely to volunteer. To address and overcome this challenge, we have turned to pushing on social media, online networks, and presentations at community meetings. We also decided to establish two cohorts of mentors which has allowed the program to stagger the training and onboarding process. Currently, the second cohort of mentors is being interviewed, screened, and trained. Man2Man program provides community members the opportunity to volunteer as mentors to young dads. Young Dad Impact Team members volunteer to conduct community presentations at local schools on the importance of teen pregnancy prevention. Adult mentors provide Young Dads with encouragement, support, and guidance. Young Dads weekly group sessions foster social connections among group members. Young Dads report high exposure to adverse childhood experiences (ACEs). Adult Mentors and Young Dad mentees are trained about the impact and prevalence of ACEs. The Man2Man Project will be featured on ACEs community-of-practice website as a trauma-informed and resiliency building program. Young Dads and Mentors participating in the Man2Man Project develop skills that increase their resilience. Man2Man mentors and mentees will plan a community volunteer day. In the upcoming six months of the Project, we look forward to continuing our work with the mentor/mentee pairs and facilitating opportunities for meaningful and supportive relationships to develop. The mentors and mentees will convene as a group for some activities and will plan a community event for late summer. If you have any questions about the Project or are interested in volunteering, please contact Brenda Hillhouse at 818/988-4430 or [email protected]. Note: The folks at Surf Bus Foundation wrote their own post on their blog--be sure to check out the full update on their site! Link here. It is the mid-year mark for our LA2050: Make LA the best place to PLAY! grant project. We want to take a time out from our gnarlatiously awesome, salty, and sandy times at the beach to share with everyone how our journey is unfolding. A project of this magnitude has taken no small amount of planning. Our original proposal was to bring four LA City park and recreation departments out to the beach for two weeks of surf camp. We met at Green Meadows with coordinators and directors from three other LA parks: Algin Sutton, Trinity, and Cypress. After a frank discussion about research goals and weekly expectations, the biggest question was about time commitment. Can we get the SAME 65 children to commit to summer camp for two weeks in a row? Turns out, nobody knew if we could get the consistency needed to collect the data we wanted. So we deviated from our original proposal--instead of 10 days of immersion for our kids, we broke the summer up into one-week blocks and invited eight parks out to the beach. Our parks cover all areas of Los Angeles: North Hollywood, East LA, Downtown, and South Central LA. We opened the door for our partners at Algin Sutton, Cypress, and Green Meadows to reach out to other reliable coordinators at Denker, Yucca, and Hazard Parks. Coolies Surf made special rashguard sets of shorts and tops for the children who do not have suitable bathing suits of their own. 100% of our Surf Bus volunteers are students who surf on Surf Academy-run middle and high school surf teams. Truly, the project epitomizes Ohana Nalu (family wave) and the Spirit of Aloha. For the week,we worked with Valley Plaza, by day five, we had all forty-five kids calling their instructors "aunty" and "uncle," just like on the Hawaiian islands. 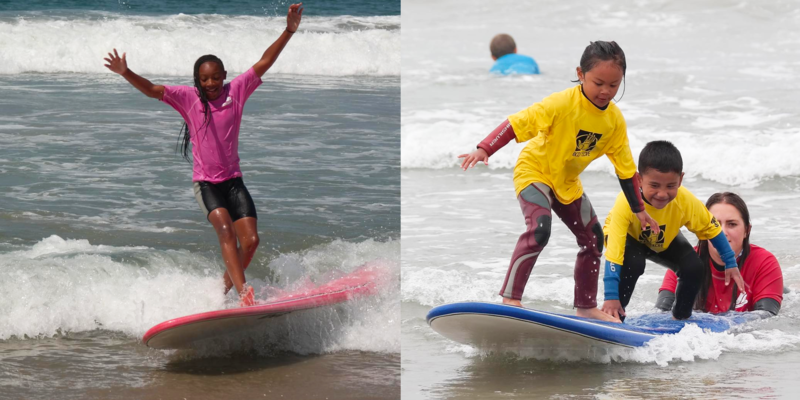 The Surf Bus Foundation is an organization dedicated to the transportation and expansion of scientific knowledge through tools like play and through the help of the LA2050 Challenge grant they were able to develop the Therapeutic Ocean Engagement: Surfing (T.O.E.S.). We have taken photos, kept daily journals, conducted short interviews, and collected anonymous before/after surveys from all students and staff from each park. We are charged with the responsibility doing an exponential amount of good! Big Citizen HUB has spent the last six months connecting 225 young people from all across Los Angeles. Together on diverse teams, Big Citizens have been participating in dialogue, community immersion activities, and direct actions to address the critical issues dividing our cities, including Environmental Sustainability, Food Justice, Homelessness, Immigration, LGBTQ+ Equality, and Animal Rights. From making blankets for people experiencing homelessness, participating in the Free the People Immigration March, taking toxic tours and making seed bombs, to participating in a letter writing campaign to SeaWorld, these youth are learning how to take action on the issues that matter most to them, whether that be through direct service, mobilization, or speaking out and sharing their own stories. This has already been an incredible year and we are excited to continue moving forward to harness youth assets and positive peer networks, ultimately contributing to a more just, open, and connected society. As we approach the end of our program year, we expect to graduate 196 young people in mid-July. Big Citizens have collectively spent over 20,000 hours exploring issues of social justice with their peers and our 30+ community partners. We have engaged 225 Big Citizens, along with their friends and family in volunteerism throughout the last six months. 83 of these youth are back for their 2nd or 3rd year with Big Citizen HUB. It's also been an exciting year operationally! We've begun working with the Building Healthy Communities - Boyle Heights: Invest in Youth Campaign, furthering valuable partnerships through advocacy efforts for positive youth development programs in LA. We've also begun to build greater organizational capacity by bringing on a Director of Programs and a Director of Impact and Evaluation. This is especially exciting as capacity has been a challenge as we strive to create the highest quality positive youth development program for our participants. This year we launched the use of a mobile technology to collect information about youth's real-time experiences during the program. This methodology, called Experience Sampling Method (ESM), signals youth at random time points throughout the program day with a brief survey that asks respondents about what they are doing and feeling in that moment. This approach provides us with data on the quality of program implementation and how youth are experiencing and interacting with program components. We plan to share evaluation findings through an impact report this fall, after the 2017 program is complete. More than 45% of families in LA County live below the self-sufficiency standard. In LA, it takes more than three full-time, minimum wage jobs for a typical family to pay for necessities. To bridge the income gap, many–in particular minorities and immigrants–turn to entrepreneurship as a path to economic security, a strategy that also stimulates job creation in their communities. A 2012 CNN report noted, “[Small and medium enterprises] in the U.S. create over 85% of all jobs." If one in three microenterprises hired an additional person, the U.S. would return to full employment. Yet 50% of small businesses fail, often due to an inability to access affordable and responsible capital needed for growth because of language and cultural barriers, limited assets, and poor/insufficient credit. 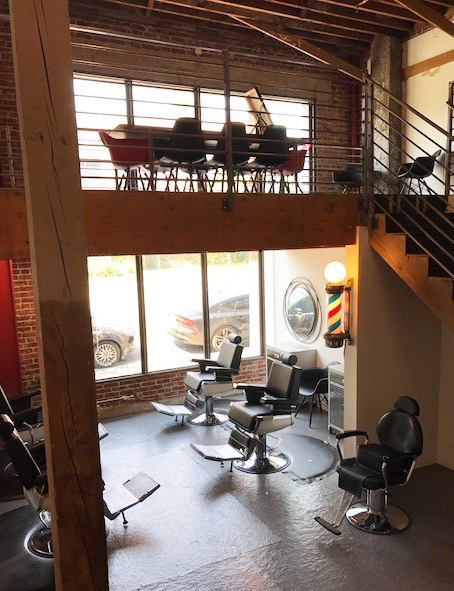 Opportunity Fund's small business program is an investment in address this daunting economic indicator and reaching all small business owners to provide them with sound capital with which to build their enterprises. Opportunity Fund is California's largest nonprofit microlender. 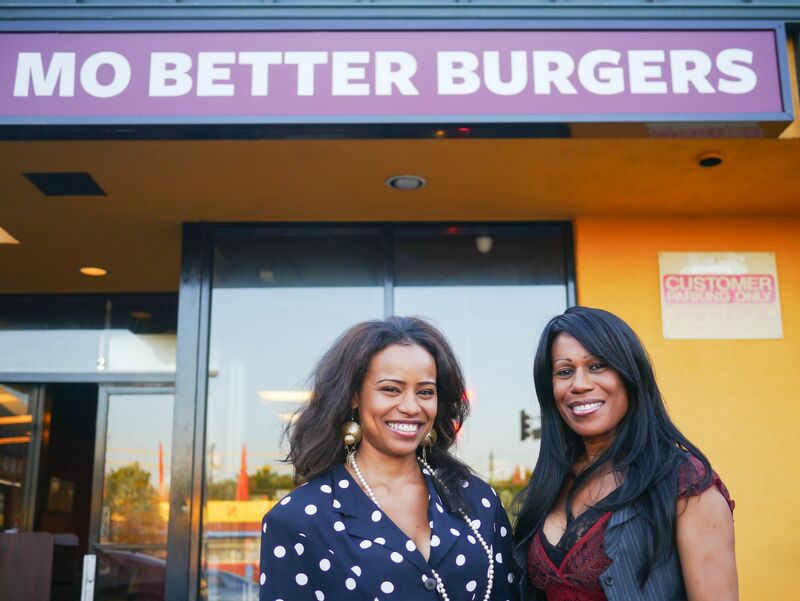 Our innovative microlending model enables Los Angeles' underserved small business owners access so they can build vibrant enterprises, and a brighter future for themselves, their families and their communities. We provide loans from $2,600 to $250,000, at affordable, fixed interest rates to disadvantaged entrepreneurs. Our model balances technology, efficiency, market knowledge, and impact measurement to remove barriers to credit that many of our borrowers face when declined by banks. We use a variety of innovative marketing strategies to reach small business owners including our street team of loan officers, bank referrals, online presence, and a first-of-its kind partnership with Lending Club, the nation's largest online lender. Last year, we launched our Community Partners Program in LA to provide multiple layers of microenterprise assistance, leverage each other's strengths and have a deeper reach. Through Opportunity Fund's Community Partners Program, we've worked closely with community organizations like MCS BusinessSource Center which shares Opportunity Fund's core value of helping small business owners gain access to responsible and transparent lending. By working with MCS BusinessSource Center, Opportunity Fund has created a consistent referral channel for microbusiness, thereby generating new loan volume. Through our ten LA community partners, including two signed in 2017, we have originated 32 loans for a loan volume of $353,751, creating/sustaining nearly 100 new jobs, and generating nearly $690,000 in new economic activity through new wages, spending and taxes. Building the framework to support our partners—such as product training, collateral marketing material, processes and communication channels, designing and writing a monthly partner-directed newsletter, and developing “how to" sessions with partners offered to small business clients—has demanded more time than originally anticipated. Going forward, with a strong system in place for our existing partners, Opportunity Fund's staff is anticipating being able to dedicate more time to adding more partners to the program, and originating new lending through that channel that creates stronger small businesses, economic mobility for our clients and their families, and employees. With the support of the LA2050 My Grants Challenge, the Geena Davis Institute on Gender in Media at Mount Saint Mary's University recently launched its new Empowering Girls & Creating a Gender-Balanced Media Landscape program. 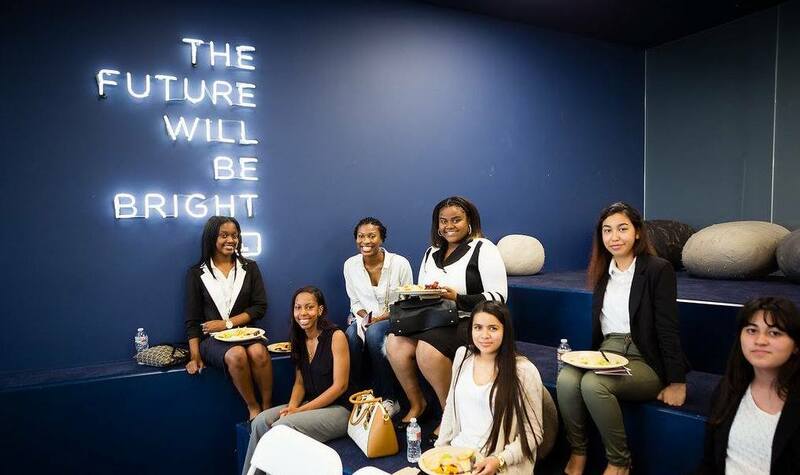 This program provides scholarships for 50 girls from across Los Angeles to attend the Institute's See Jane Salon series, quarterly events that engage entertainment industry professionals and corporate influencers in discussions on achieving greater gender equity in media. In addition to attending the salons, scholarship recipients will also have the chance to take part in other special mentoring programs and opportunities over the course of one year. 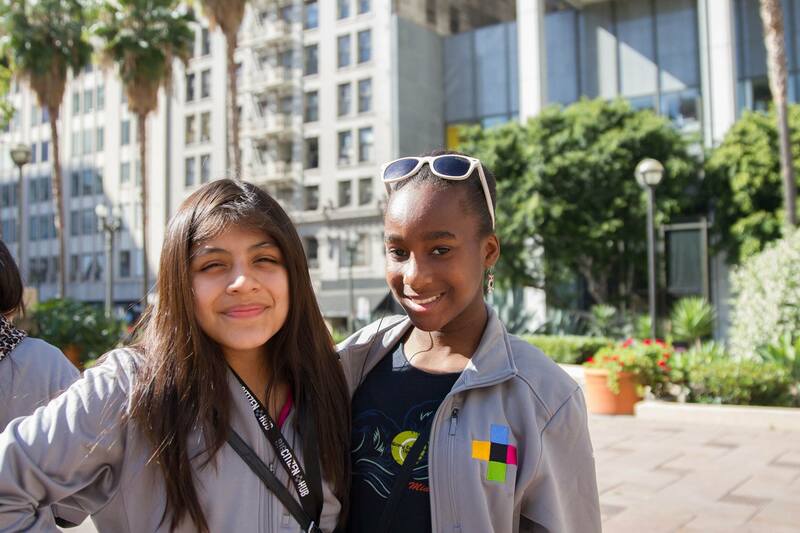 The Institute partnered with local peer organizations, including the Fulfillment Fund, Urban Fitness 911, DIY Girls, LA Makerspace, and Steamcoders, to help spread the word and reach a diverse group of young woman. The program's first salon, “The Easiest Way to Add Female Characters: It Starts With A Script!" was held at Fullscreen Media in Playa Vista on June 5, 2017. Program panelists included Geena Davis; Craig Gerber, Creator & Executive Producer of Disney's Elena of Avalor; Daron Nefcy, Creator & Executive Producer of Disney's Star vs. The Forces of Evil; and Rebecca Rusch, professional athlete and creator and star of the film Blood Road. Alex Cohen, KPCC's Morning Edition Host, moderated the discussion, which centered on ways to improve female representation in media that start in the writers' room. 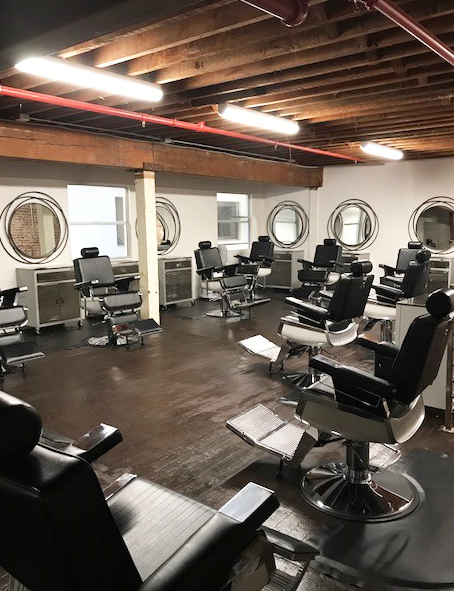 As the Empowering Girls & Creating a Gender-Balanced Media Landscape program progresses, three more salons are planned for August, November, and February. Additionally, a program featuring a speed mentoring session with a range of entertainment industry professionals is scheduled for early September. At the program's conclusion, the Institute will survey scholarship recipients to assess the quality of the program and its impact on their knowledge and interest in gender equity in media. The Institute will also evaluate the program's influence on inspiring the participants to pursue their own careers in the entertainment industry, and will track the number of participants who go on to attain internships and jobs in the industry or start their own creative endeavors or businesses. SXSW's community panel picker gives YOU the opportunity to shape the sessions on the most innovative ideas, solutions, and thought leaders shaping issue ranging from education to the digital economy. No surprise that there are tons of great panel ideas submitted from LA. Here's a selection of awesome sessions from LA-based organizations and companies. Read on and vote on your favorites to help LA get on the SXSW stage! This session will examine how an in-district, public-private management model is transforming 18 of the highest needs K-12 traditional public schools in Los Angeles - the nation's second largest school district. The panel will feature Joan Sullivan, Chief Executive Officer of the Partnership for Los Angeles Schools, a former My LA2050 grantee. Be inspired by young founders of unique emerging concepts in the hospitality industry. Learn how they are successfully disrupting the status quo. Hear from Elvina Beck, the founder of PodShare, a revolutionary co-living concept ranked #1 on TripAdvisor in Los Angeles. In 2016-17, the Los Angeles County Arts Ed Collective collected data about the quality, quantity and equity of arts education from schools and school districts across LA County. Matthew Agustin, Research Associate, Los Angeles County Arts Commission will focus on findings from the commission's analysis and what it reveals about the distribution of arts instruction in LA County. This panel of experts, from the left and the right, will address when, and how, governments can wake up to the digital demands of modern citizens. Ted Ross, CIO at City of Los Angeles, will be talking about what's happening locally. There is huge financial value in pro teams developing youth programs to get kids into their system, but teams are just now unlocking the tremendous social value of youth initiatives as well. We'll look at some best practices in sports of reaching youth communities, and explore the work that still needs to be done to provide further opportunities. Featuring Nichol Whiteman, Executive Director, Los Angeles Dodgers Foundation. 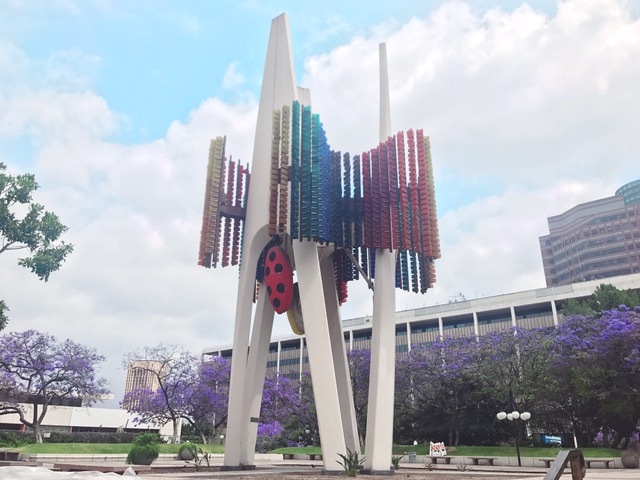 The Triforium Project is a group dedicated to the restoration and revival of an unusual piece of public art in Downtown Los Angeles, The Triforium. Built in 1975, The Triforium was a groundbreaking, technology-driven, interactive musical instrument designed to synchronize light and music in “polyphonoptic" compositions for all to enjoy. Unfortunately, it never quite worked as designed, and suffered a number of technological, financial, and political setbacks over its lifetime. Once a beacon of light, music, and color downtown, it has stood mute and dark for many years. 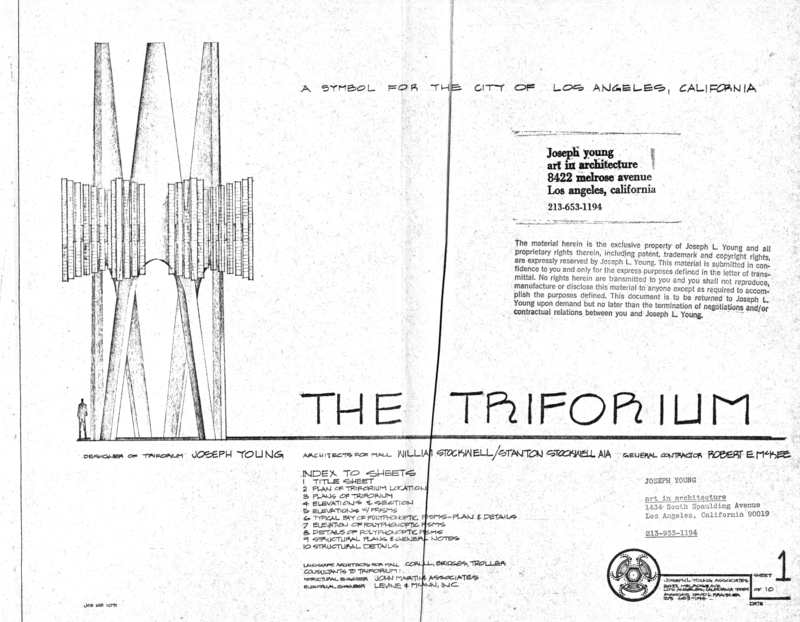 Because of the large-scale nature of the artwork—six stories!—its interrelated technological components, and the fact that The Triforium is part of the City of Los Angeles' public art collection, progress on restoring the Triforium has not been immediate. This is the nature of the beast. DCA is now creating two initial conservator's reports of the Triforium, which we are partially funding with our grant funds, in order to assess the artwork's structural and technological integrity, and the cost of different restoration approaches. While the civic wheels turn, one of the most substantial efforts we've made to support the Department of Cultural Affairs is to systematically digitize huge portions of Triforium artist Joseph Young's paper archive, shared with us by his family. By going through all of Joseph Young's materials and cross-referencing it with press accounts and the technology found in the Control Room, we've been able to put together a chronology of the artwork's life that will be invaluable to the conservator who takes on the final restoration. We've also created a dossier of the archive's most important documents, substantiating our understanding that Joseph Young designed the Triforium to last centuries—and would have been tickled to see its computer system updated with each successive generation. Finally, we created large-format scans of all the Triforium's original blueprints and schematics, which again, will be invaluable to assessing its structural integrity. While the conservator's report is underway, we have made progress by doubling down on outreach, hosting site visits of the Triforium and its Control Room to interested parties and groups. We've worked with City Council District 14 and the Department of General Services to clean up the Triforium's long-maligned Control Room, clearing it of trash, insects, and dust while installing archival images and information within sight of pedestrians. We've hosted a tour and fundraiser with the Los Angeles Design Festival and created unique Triforium merchandise to raise further funds for the project's long-term goals. We've identified volunteers with expertise in legacy computing, glasswork, and engineering in order to simplify (and save) on future assessments. The last six months of working towards our goal of a musical, illuminated Triforium have been a crash-course in city politics, art conservation, public outreach, and historical research. Without the support of LA2050, we may well have walked away from this project, feeling daunted by its complex considerations. But the initial support of LA2050 has catalyzed us, legitimized us, and encouraged other funders to get on the Triforium bandwagon. Now the momentum is so great that we can't stop—and we can finally see the Triforium lights on the horizon! LA Times - Can a $100,000 grant revive the Triforium, L.A.'s 'weird, strange beacon'? Back in 2016, the Sierra Club launched an effort with friends and allies to move Los Angeles to 100 percent clean energy. Los Angeles has long been plagued with dirty air, and is at increasing risk from climate change. Our dependence on fossil fuels is by far the biggest driver of these two problems. On the flip side, Los Angeles has everything to gain from the transition to clean energy. Los Angeles is home to more than 115,000 clean energy jobs, even though less than 30 percent of our energy comes from renewables and just a fraction of cars are electric. Given the threats posed by fossil fuels and the benefits of the transition to clean energy, there's no time like the present to organize for 100 percent clean energy. Clean Air: Earlier this year, we (along with partner groups like Earthjustice and Center for Community Action and Environmental Justice) took an important step forward in the transition to 100 percent clean energy when the air district finalized a new clean air plan that we supported. This progress is significant because Los Angeles still has the worst air quality in the United States and across the South Coast region, more than 5,000 people die prematurely each year from breathing dirty air, according to our air regulators. The problem is so severe that the region must swiftly shift away from fossil fuels, reducing smog-forming emissions by upwards of 90 percent. If implemented effectively, the clean air plan will go a long way to cleaning up the air and driving fossil fuels out of the region. Clean Energy: Since passing a motion last year to study 100 percent clean energy, the Department of Water and Power has taken some really great steps towards this goal. First, the utility adopted a new interim clean energy goal of 50 percent clean energy by 2025. It also doubled its energy storage goals and proposed a plan to install nearly 1,000 megawatts of rooftop solar around Los Angeles by 2025. In June, the utility announced it was hitting pause on plans to build three large gas plants while it studies clean energy alternatives. Most recently, the utility kicked off its 100 percent clean energy working group, which includes Sierra Club and other allies. Needless to say, it's been a fast-paced first half of the year at the utility. Clean Transportation: Working with labor and environmental advocates, we launched a coalition to encourage Los Angeles Metropolitan Transportation Agency to transition to 100 percent electric buses by 2030. The coalition's goals also include ensuring union jobs to build the buses and charging infrastructure, clean power to charge the buses, and priority benefits to low-income communities and communities of color. The effort has been met with fierce opposition from the natural gas industry, which currently powers Metro's buses, but success is in reach. In May, Mayor Garcetti sent a letter to the agency's CEO, requesting a plan for 100 percent electric buses. In June, staff presented a draft plan to make it happen. We haven't won yet, but it's inspiring to think that one major piece of the clean transportation puzzle may be in place soon. Looking ahead, we still have a lot of work to do, but the future is bright. Up next? Los Angeles Metro's Board will consider a policy to accelerate the transition the 100 percent electric by 2030 in July. Through the summer and fall, our local utility will continue to chart its course towards 100 percent clean energy (no doubt with a few bumps along the way). All the while, the people of Los Angeles will continue to fight for a future defined not by who we aren't and what we're against, but by who we are, our values, and our vision for the future.